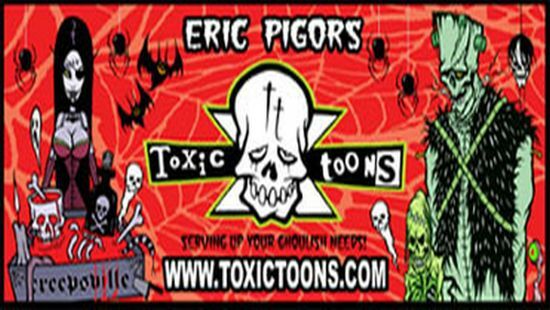 Its no secret that each year for our annual Pumpkin Carving Party that I try to up the ante on my invites that I hand out. This year is by far my biggest undertaking! 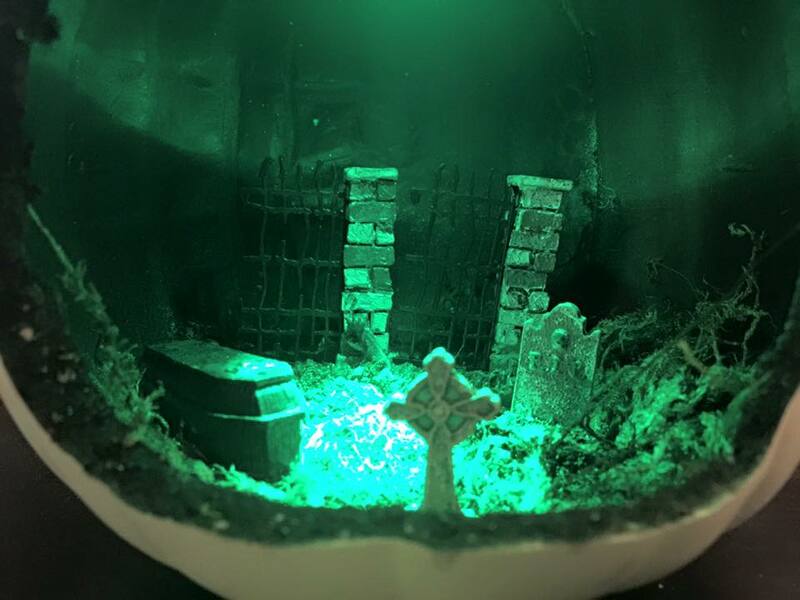 I created mini Graveyard terrariums out of small craft pumpkins complete with a battery powered LED to light the scene in each one. I started with the small pumpkins from Micheals and cut a large hole on the face of each one (15 in total) then paint the inside of each one black. 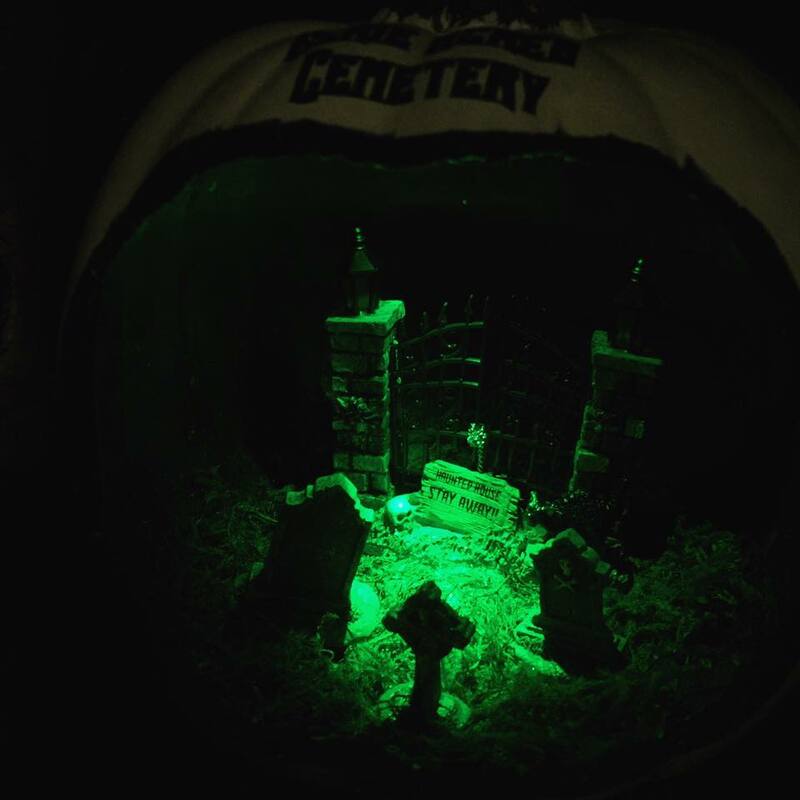 Next I glued moss to the bottom of each one and then set up a small graveyard scene using Spookytown pieces. Those also had to be glued into place. Then I installed a 12v green led into each one and wired them up to a 9v battery holder. Don’t worry I included a 9v battery for everyone! 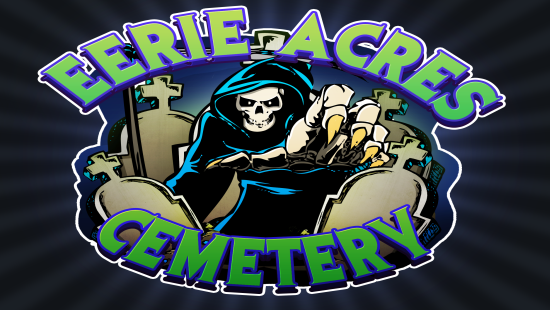 I topped them off with an Eerie Acres Cemetery sticker on top. I always like to make things that people can leave out for the month on display to celebrate Halloween and already I am wondering how I am going to top this for next year. This was extremely time consuming and pricey but totally worth it in the end! Just now caught this post. I was wondering when you were going to post pics! Very cool!